A fun way for young students to retell the beginning. middle and end of a story. 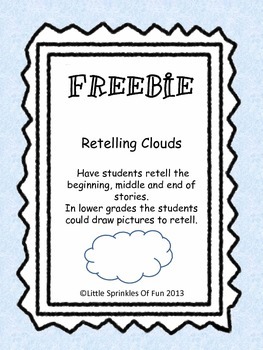 Students may either draw a picture in each cloud or write words or sentences to retell the story.